NewsBeat is a newsaper industry publication by the NY Press Association. 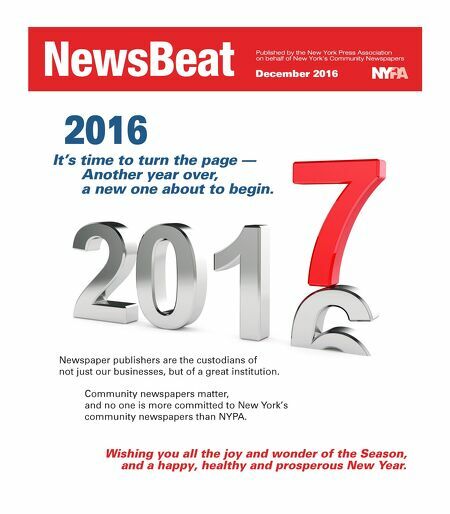 NewsBeat PA NY Published by the New York Press Association on behalf of New York's Community Newspapers December 2016 2016 Newspaper publishers are the custodians of not just our businesses, but of a great institution. It's time to turn the page — Another year over, a new one about to begin. Wishing you all the joy and wonder of the Season, and a happy, healthy and prosperous New Year. Community newspapers matter, and no one is more committed to New York's community newspapers than NYPA.